The resort is spread around in 17 acres, more than half is having plantation which is the terrain close resembling the nature around. 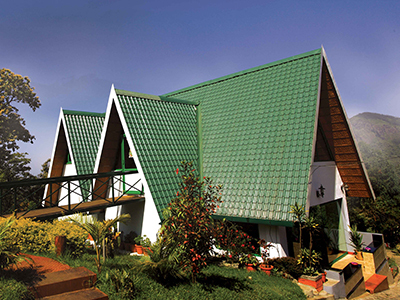 Dozens of rare and endangered species of flora and fauna, can be spotted in the resort premises alone. Elephants, Wild boars, bison, birds, kites, hornbill, moths are common sights during dawn and dusk. Wild orchids, giant tree ferns, rhododendrons, etc. are also in plenty around the place. Legends tell the tale of King Arthur, a just king who ruled Britain 1500 years ago, whose capital, Camelot, was the most beautiful locale in the world where truth and goodness and beauty reigned. Camelot, the top hill station of Munnar, is like the modern day version of this dulcet and idyllic picturesque land, far away from the crowded noisy parts of Munnar but accessible enough to reach the town in 20 minutes. Camelot also has hygienic mineral water for the needs of the resort. This self sufficiency inspires you in your hard earned vacation, and the stay rejuvenates your heart and soul for living your life the way you always wanted it to be. It is a pleasure to watch sun rise and set amidst the tea estates, coffee, cardamom and pepper plantations surrounding the resort. 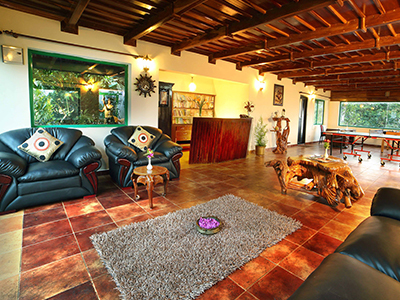 Camelot houses The Camelot Rock View Point, just 150 meters up along a trekking route, from where you can see 9 estate mountains namely Kannimala, Rajamala, Kallar, Nallathani, Nyamakad, Vagavarai, Silent Valley, Parvathy, and Lekshmi. Anamudi, the highest peak in south India is also visible from this spot. 4 hours of gruelling climb of 1000 meters takes you to a special trekking spot, The Camelot Trekking Pinnacle, where a beautiful eye view of the high ranges all around, and a distant view of Kochi can be seen. 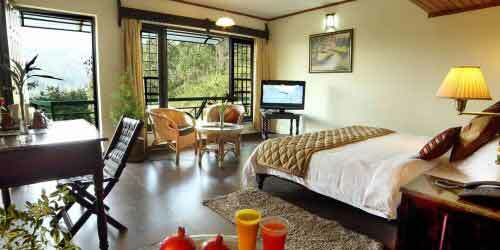 The resort provides necessities like medicine, and other trekking accessories for the trek. 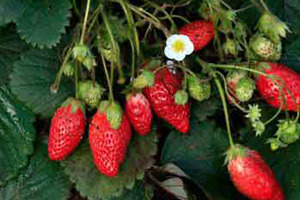 Camelot is a self sufficient resort that has an organic farm that produces all the vegetables, like carrot and ladies finger, and fruits, like strawberries, for the daily needs of their guests. The food prepared using these fresh, organic vegetables that uses no fertilizers make Camelot incomparable to any other. 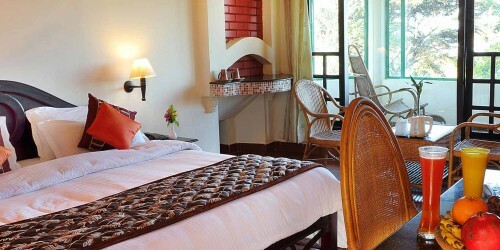 Sun Bird (Luxury Room) We have four Luxury Rooms, Sun Birds, as we call them, to provide our guests with the luxurious experience which they deserve. 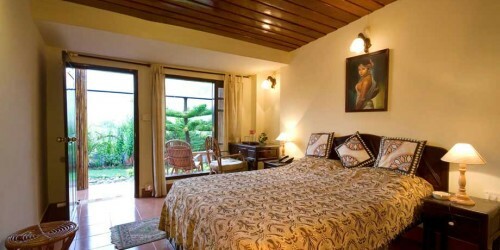 The bedchambers are well furnished and each of them has an attached bathroom, and a balcony. The balcony of each of these rooms opens to..